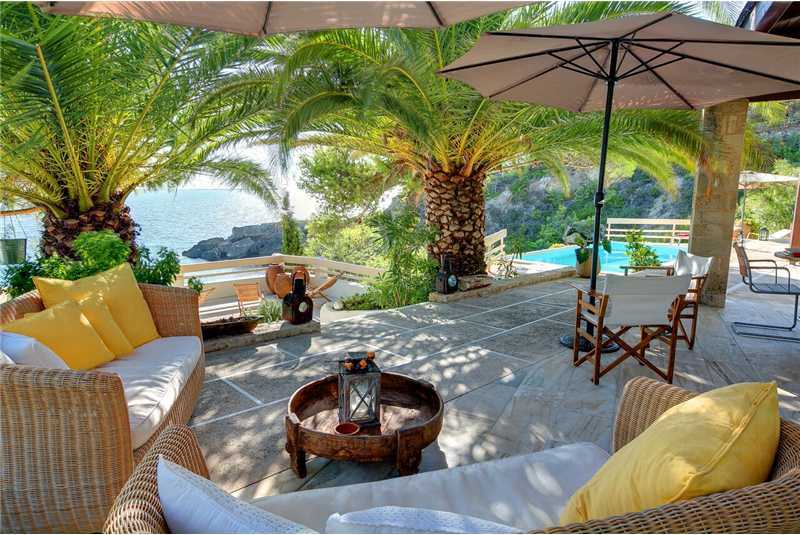 Long Beach Villa is a beautiful modern four bedroom villa, located right on the cliff edge of Makris Gialos, In Kefalonia. 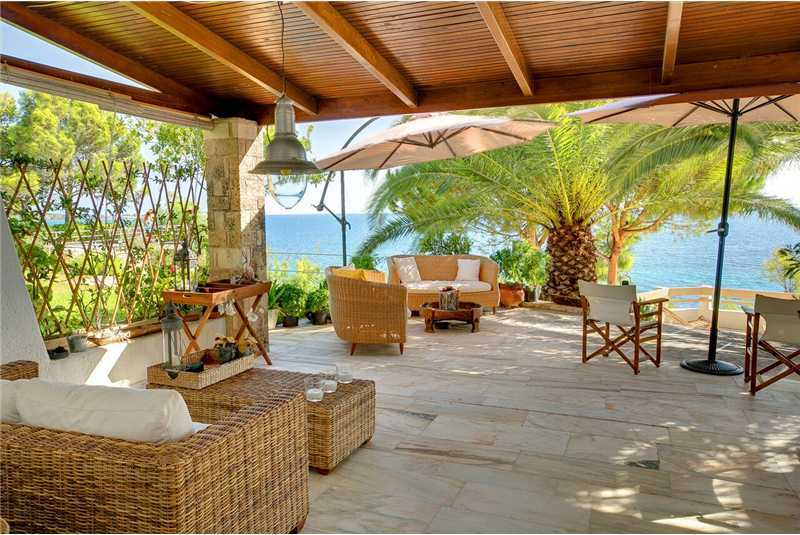 (meaning long beach in Greek) The location itself makes the property very exclusive, since it provides serene privacy with a stunning views and direct access to the famous beach. 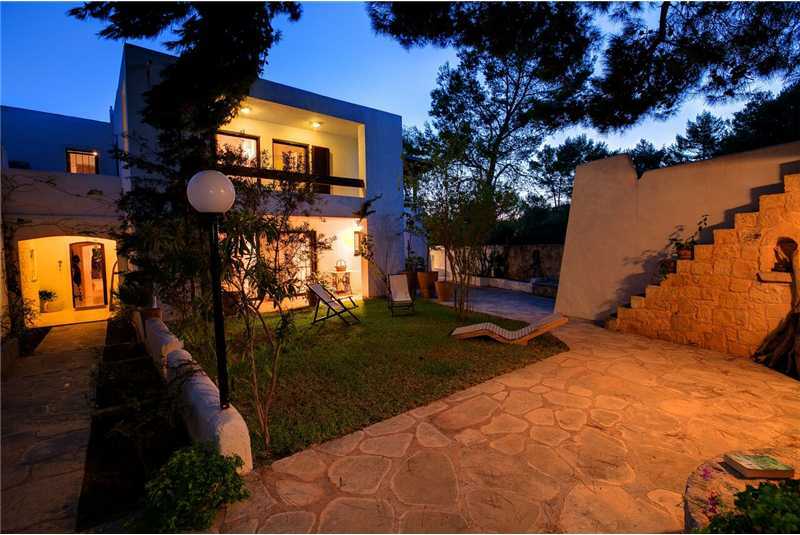 It is conveniently located close to the airport and just a short drive to the islands capital Argostoli. 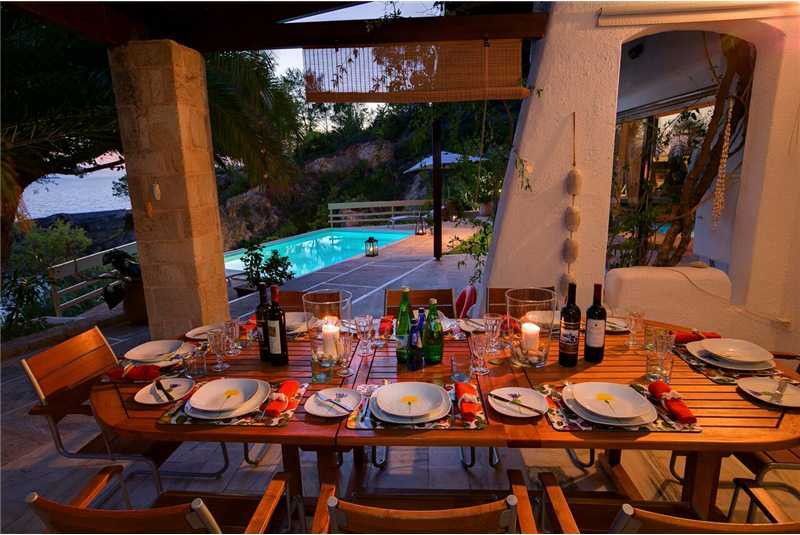 Long Beach Villa is a superbly designed modern four bedroom home with spectacular panoramic views over the Ionian Sea towards Zante. 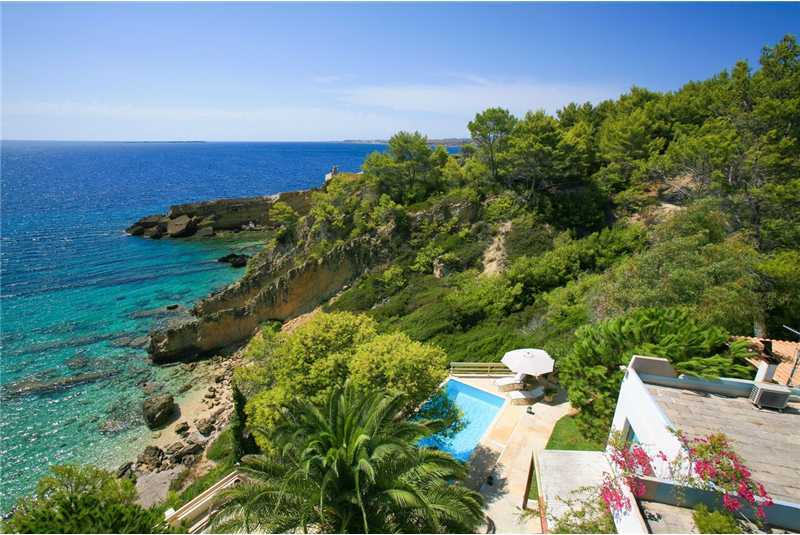 The unspoilt beaches of Trapezaki, Kanali and Lourdas are all close by. 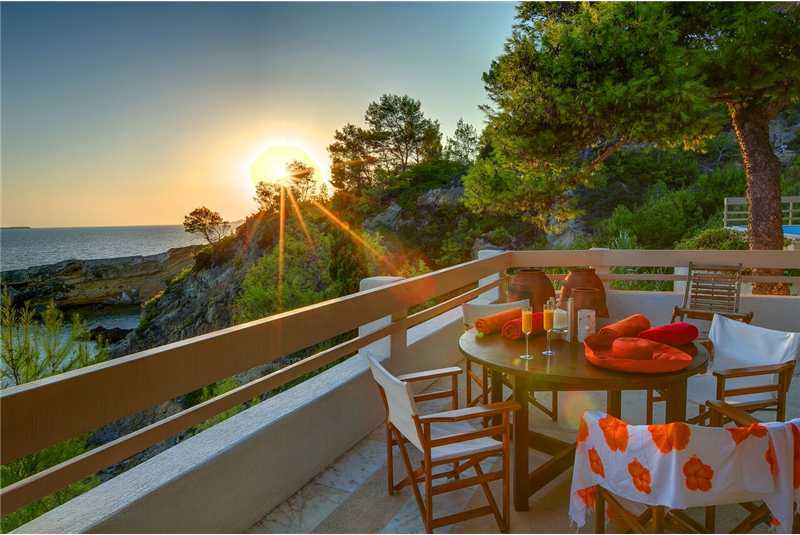 In Lourdas, Lassi and Trapezaki there are a number of small shops, mini markets and lots of tavernas offering a variety of local greek cuisine, with many of the restaurants located on the beach. 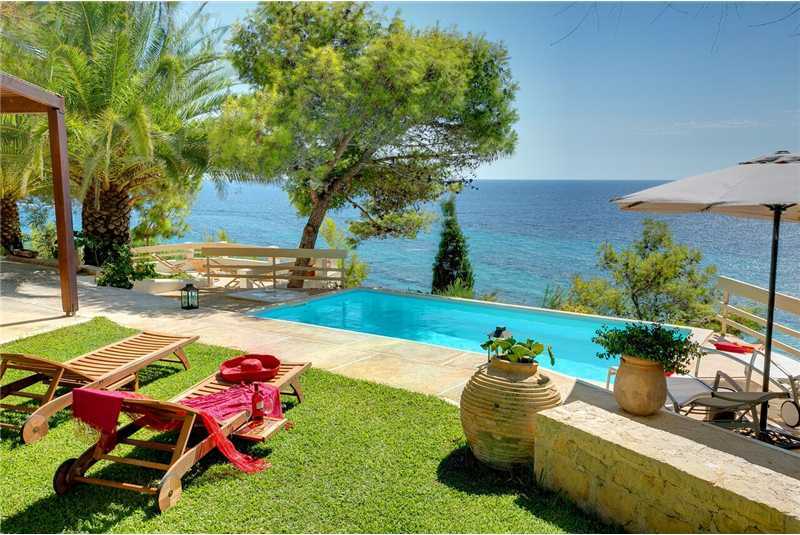 The villa is built combining modern luxury and utility with the traditional design. This mixture of architecture provides timeless luxury and supreme comfort. 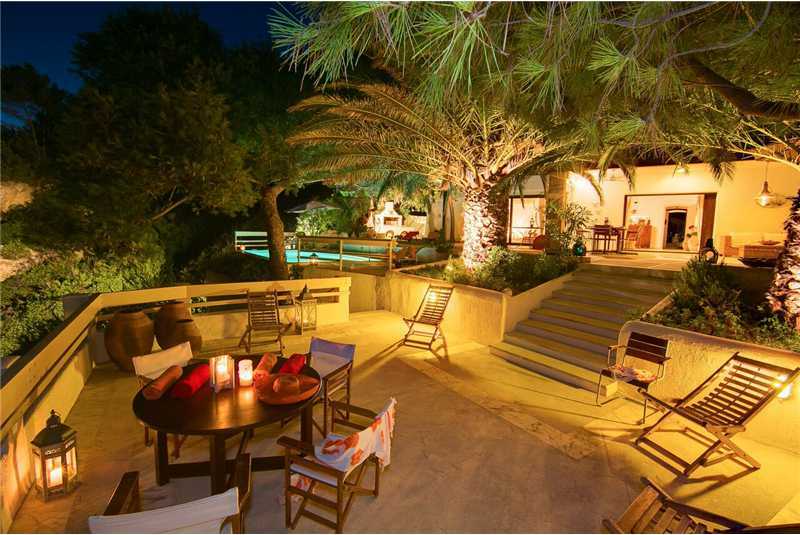 Upon entering the villa, there is an entrance hall which leads to a large room that houses the internal dining room and the living room with the fire place. 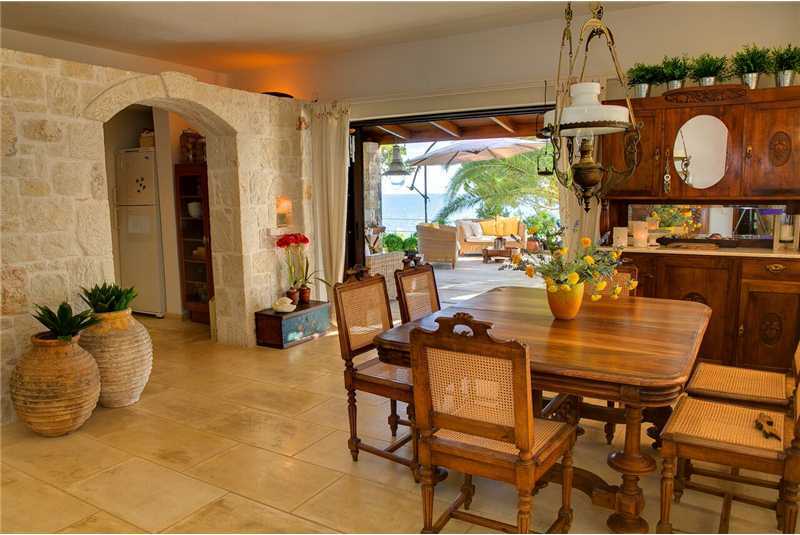 The living room and the dining room enjoy great sea and beach views. 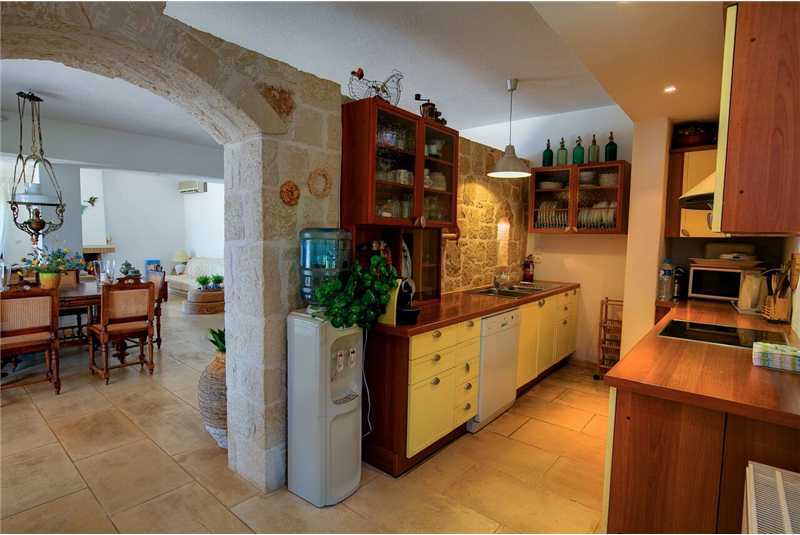 Right behind a stone wall, there is the full equipped kitchen. On the back of the living room, the two rooms of the villa connected by a hall are located. 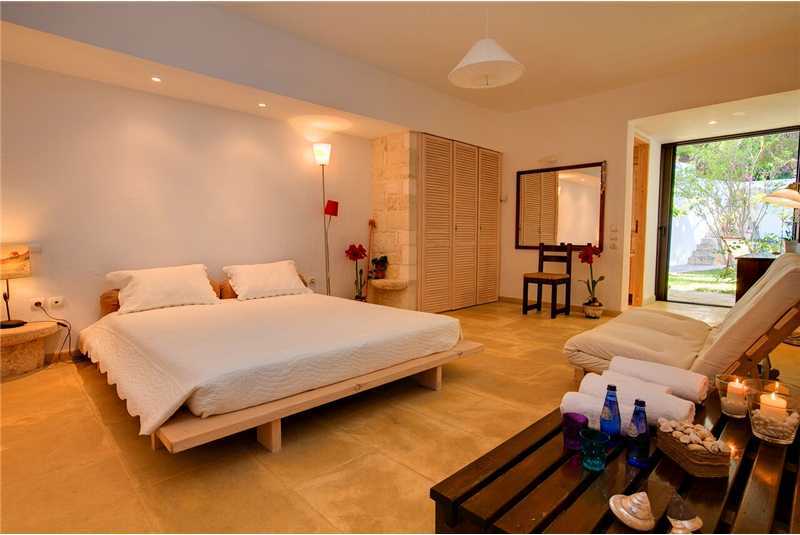 The main room features a double bed, a dresser and an ensuite bathroom. The second room features a double bed and a dresser. Its bathroom is located right next to the room. 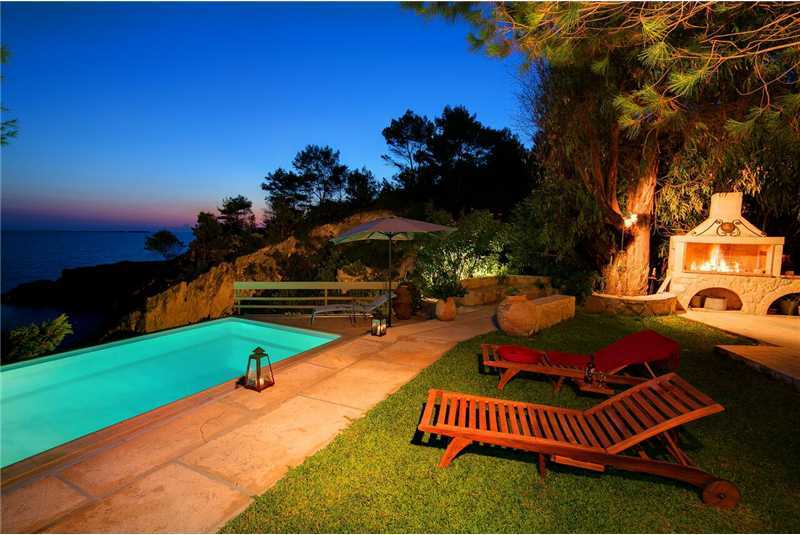 The villa also features two external bedrooms in the form of guesthouses. 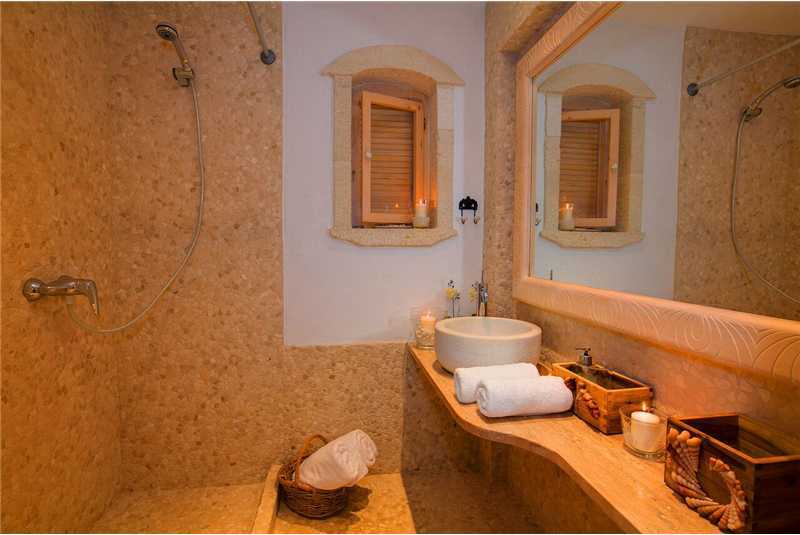 The first guesthouse features two twin beds and an ensuite bathroom. 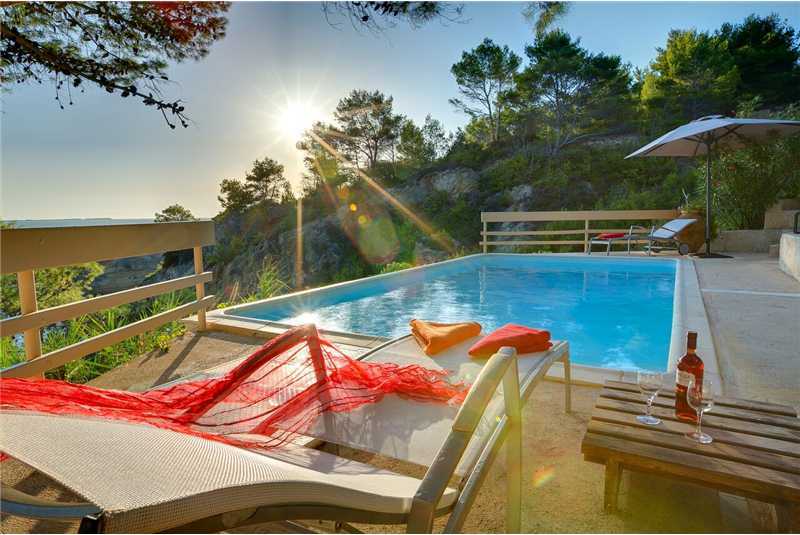 The second guesthouse is located right in front of the private swimming pool and enjoys the stunning view of the beach and the sea. 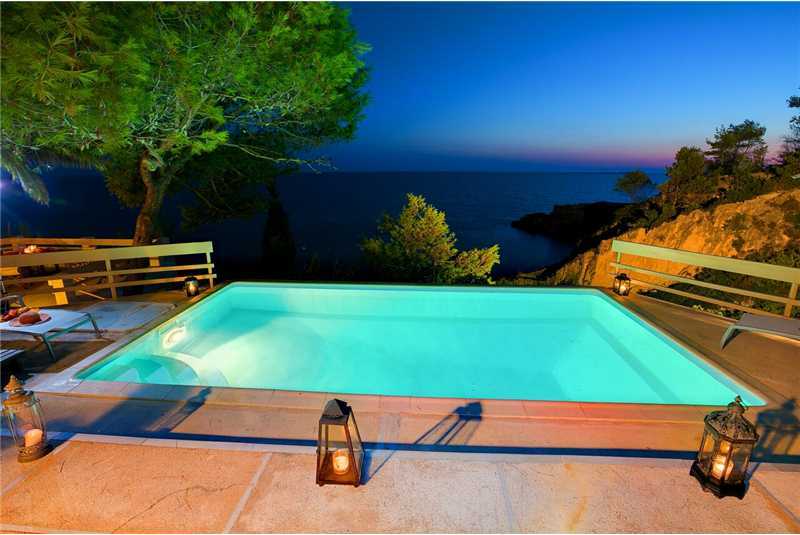 This guesthouse features a double bed and an extra single bed, a small kitchen and an ensuite bathroom. 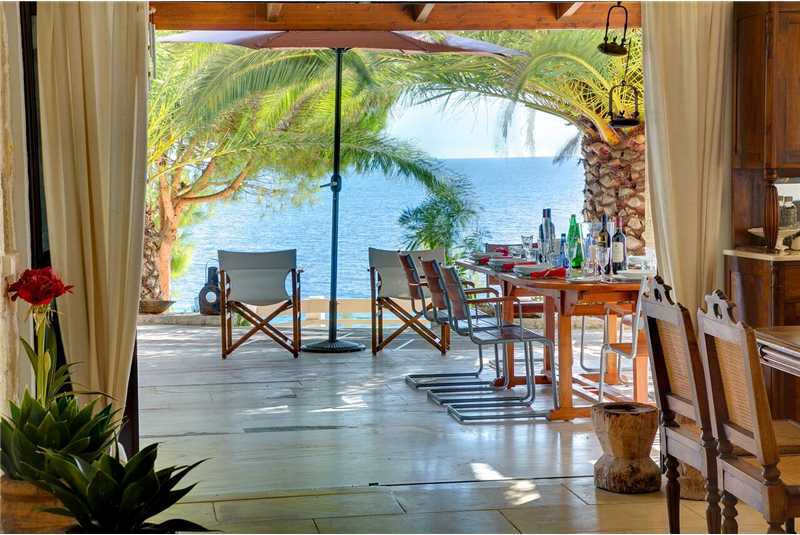 Right in front of the dining room, there is an exterior dining table under the shade of a wood made pergola, overlooking the sea and the swimming pool. 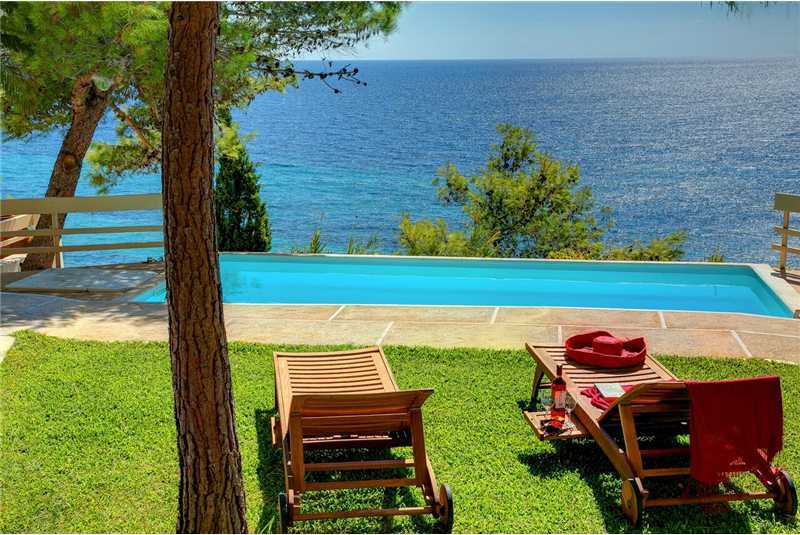 The villa is also fully equipped with comfy outdoor furniture. 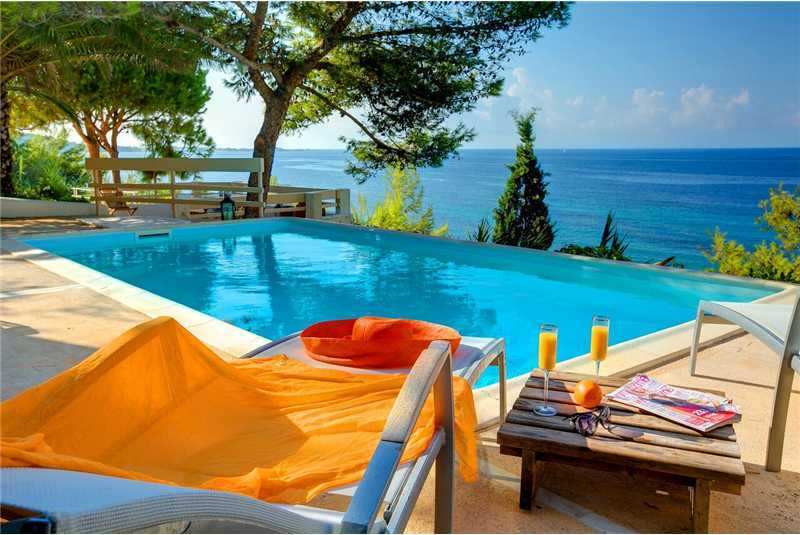 Long Beach Villa is positioned on one of the most breathtaking and popular beaches in Kefalonia, the Long Beach (Makris Gialos). 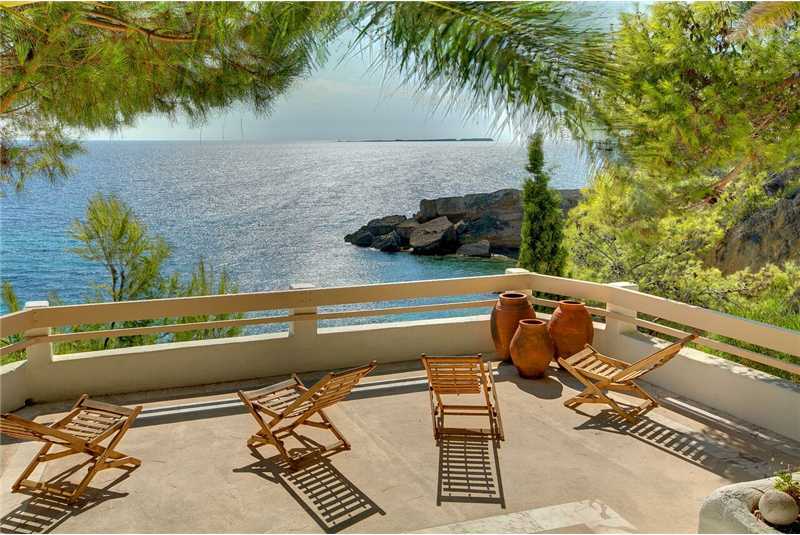 The villa itself has private steps that lead directly onto the beach. 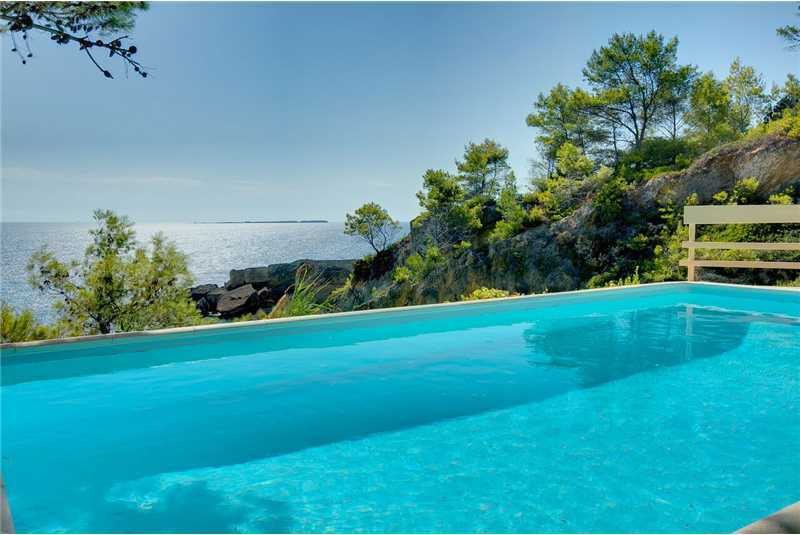 By having the beach so close, as well as a private swimming pool, visitors at the Long Beach Villa get the best of both worlds. Flexible changeover days available on request. Second external guesthouse featuring double bed, a single bed and small kitchen. Open plan lounge, diner and kitchen. Fully equipped modern kitchen with fridge freezer, microwave, dishwasher and washing machine.